Losing a spouse is tough enough without making it a financial loss as well. The average age of a widow in the U.S. is much younger than you might think — would you be ready to make it on your own for decades? Wealth adviser Nina Mitchell explains what to keep track of. WASHINGTON — Two years ago, Sheryl Sandberg flew down to Mexico with her husband to celebrate a close friend’s 50th birthday. 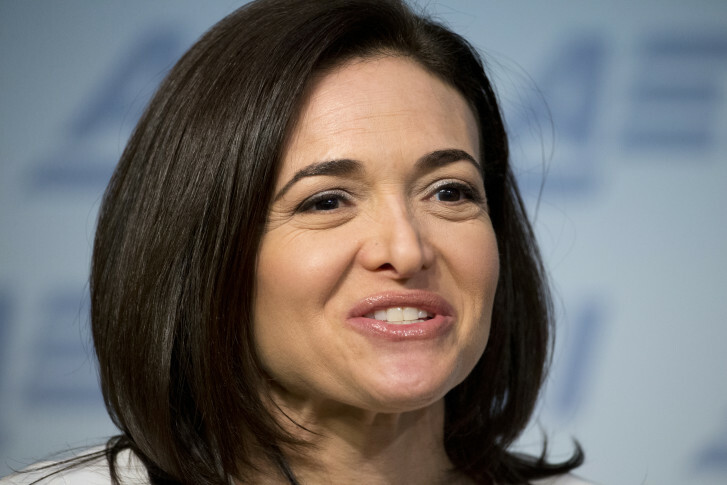 It was a rare getaway for the power couple — Sandberg is the chief operating officer of Facebook, while Dave Goldberg was the CEO of SurveyMonkey. While on vacation, Goldberg, just 47 years old, passed away suddenly while he was running on a treadmill. Sandberg’s life was changed in an instant. She had lost her husband and was suddenly a widow at 45 with two children to raise on her own. Sandberg has just released the book Option B, in which she shares more about her family’s heartbreak and how she went about rebuilding her life in the wake of such a loss. I was fortunate to recently hear her speak about her experience and the themes of her book — which got me thinking about several of my own friends and clients who have suffered through similar experiences. It’s impossible to measure the emotional toll of losing a loved one, especially a longtime spouse. The process of grieving may never end. That’s why most of us would rather not talk about death — or about what we might need to do after a loved one passes away, particularly when it comes to sorting out our personal financial situation. This issue is particularly important to women, especially those who haven’t taken an active role in their family’s financial planning. The average age of a widow in the U.S. is just 55 years old. At that young age, you still have many years ahead of you. You may even still have kids in college. Would you know what to do first? Without an emergency financial plan in place before tragedy strikes, an already emotional experience can be just about untenable. A client of mine — let’s call her Laura — lost her husband in the horrific events of Sept. 11, 2001. Laura was a stay-at-home mom in her 30s with young children still in diapers. Her husband was a partner in a well-known investment firm and a whiz with numbers, so he handled all of the family’s financial planning. By all accounts, they were living the American dream. And then, in a single day, it was all ripped apart. I met Laura at that time because, just as she was grieving the loss of her husband, she was also scrambling to put her personal finances together. Much to Laura’s and her deceased husband’s credit, they at least had an estate plan with life insurance in place. Many of her fellow Sept. 11 widows were totally unprepared. Even with some things in order, we still had our share of frantically trying to find missing financial information, such as insurance policies, employer benefits and passwords to accounts. Having this information would have made things a lot easier had we or Laura known where they were or that they even existed. Settling Laura’s husband’s estate was just the beginning of a long list of financial problems that had to be dealt with head-on, quickly and carefully. Just as she was trying to get around the fact that her husband wouldn’t be coming home anymore, Laura was trying to understand whether she had enough money to live on and for how long. She was uncertain as to what her and her young children’s future would look like — she was scared to death. In the end, we worked together to put the pieces of her financial puzzle back together and give her peace of mind for the future. None of us wants to map out an emergency plan in case of the death of a loved one — we’d rather live in the moment and deal with this later on. I’m sure we are all know stories of how painful and burdensome it can be to not have at least the basics of an emergency financial plan in place. What would have happened if Laura hadn’t had a team around to help? That’s also true when you are dealing with caring for someone who has been ill for some time. A close friend of one of my colleagues recently lost her husband, who battled cancer for years. But anytime she asked her friend whether they talked about what their finances would look like after he passed, or even where her husband kept his passwords, she demurred. “I don’t want him to think that I’ve given up,” she would say. Nothing further would get done. I think we can all feel her pain and sense of guilt — which, again, is why putting a plan in place ahead of dark times makes the most sense. That way, when time is truly of the essence, you can spend time with your loved ones while also knowing that your finances and estate planning are both already in order. We have little control over when each of us will die, but we can plan for the future financial well-being of those we love most. You can do that by working with your financial adviser and estate-planning team to create your own personal emergency plan — a “Must Do” list — for those family members who will be most affected by your death. A will, trust(s), living will with end-of-life care, health care power of attorney (with HIPAA authorization) and general (financial) power of attorney. Review your estate plan on a regular basis together and make it is truly updated. Inform your family who your legal team and advisers are in case of emergency. Review your life insurance needs to ensure you have sufficient death benefit protection. Permanent documents include your most recent and updated original estate and trust documents, deeds, titles, notes, birth and marriage certificates and life insurance policies. Do you have a safe-deposit box or in-house safe? Who has a key or the combination? Do you have an updated personal financial statement, listing of all investment and savings accounts, current and prior years’ tax returns, work benefits, etc.? Documents related to pension, insurance, Social Security and workers’ compensation benefits. With so many transactions done and stored electronically, make sure you know where all updated passwords are for all investment and bank accounts, bill-paying, medical insurance, iPhone, Facebook and other social media, etc. If one family member pays the bills on a regular basis, make sure another family knows how to do this in an emergency and where the current (and last year’s) bills are saved. Are you comfortable with your current wealth advisory team? Revisit your financial, tax, investment and insurance needs based on the new circumstances. While even the best emergency plan won’t heal the deep emotional wounds that come from losing a loved one, it can at least give you the chance to grieve without the added turmoil of trying to put your financial life back together. Life is never perfect. That’s why, as the title of Sheryl Sandberg’s book puts it, we all need to actively plan for some form of Option B. That’s what life is all about. Nina Mitchell is a senior wealth adviser and partner at Bridgewater Wealth & Financial Management and co-founder of Her Wealth.